Aluminum–Lithium Alloys: Process Metallurgy, Physical Metallurgy, and Welding provides theoretical foundations of the technological processes for melting, casting, forming, heat treatment, and welding of Al–Li alloys. It contains a critical survey of the research in the field and presents data on commercial Al–Li alloys, their phase composition, microstructure, and heat treatment of the ingots, sheets, forgings, and welds of Al–Li alloys. It details oxidation kinetics, protective alloying, hydrogen in Al–Li alloys, and crack susceptibility. It also discusses grain structure and solidification, as well as structural and mechanical properties. The book is illustrated with examples of Al–Li alloy applications in aircraft structures. Based on the vast experience of the coauthors, the book presents recommendations on solving practical problems involved with melting and casting ingots, welding of Al–Li alloys, and producing massive stampings for welded products. Provides comprehensive coverage of Al–Li alloys, not available in any single source. Presents research that is at the basis of the production technology for of ingots and products made of Al–Li alloys. Combines basic science with applied research, including upscaling and industrial implementation. Discusses gas and alkali-earth impurities in Al–Li alloys. 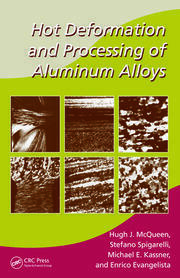 Describes technological recommendations on casting and deformation of Al–Li alloys. Dr. Sci. Olga Grushko graduated from Moscow State Aviation Technological University in 1959. She specializes in metallurgy and materials science for wrought aluminum alloys. Since 1959, she is working at the All-Russian Research Institute of Aviation Materials (VIAM) and during recent years as a chief scientist. Dr. Grushko is well known for the development of fundamental of a new class of wrought aluminum alloys—alloys with lithium. Her theoretical ideas and research are implemented in industrial production. Dr. Grushko is the author of 90 publications and 20 inventions, is a doctor of engineering sciences, and is a recipient of a state award from the Russian Federation. Dr. Boris Ovsyannikov graduated from Ural Federal University in 1979. He is a specialist in the field of melting, casting, and metallurgy of aluminum and magnesium wrought alloys and the technology of rare metals. Since 1984, he is working at Kamensk-Uralsky Metallurgical Works; he became chief metallurgist in 2011 and head of R&D in 2014. Dr. Ovsyannikov developed the scientific basis for melting, refining, and casting of aluminum alloys alloyed with lithium and rare earth metals. His theoretical developments are implemented in the industrial production of ingots in aluminum alloys alloyed with lithium and scandium. Dr. Ovsyannikov is the author of 95 publications and 28 inventions. He holds a PhD. Prof. Dr. Sci. Victor Ovchinnikov graduated from Moscow Aviation Technological Institute in 1978. He specializes in metallurgy and welding of wrought aluminum alloys. Since 1982, he is working at the Russian Aircraft Corporation JSC and is head of the Welding Laboratory. Prof. Ovchinnikov developed a scientific basis for fusion welding of aluminum–lithium alloys and methods for the prevention of porosity in joints. He implemented theoretical and practical developments in the manufacturing of welded aircraft structures. Prof. Ovchinnikov is the author of 470 publications and 110 inventions. He is doctor of engineering sciences, professor, full member of the International Informatics Academy, and has received an award for excellent invention in the aviation industry. 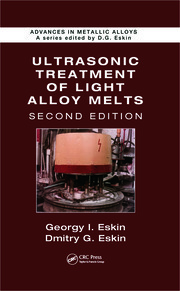 "… gives a comprehensive and detailed overview about metallurgical details that are not so often shown in such books." "The authors have done a stupendous job in bridging the knowledge gap in theoretical understanding of the AL-Li processes with the actual industry practices. The reader will find the treatment of molten metal quality control and its tie in with casting practice recipes to be of fundamental value. 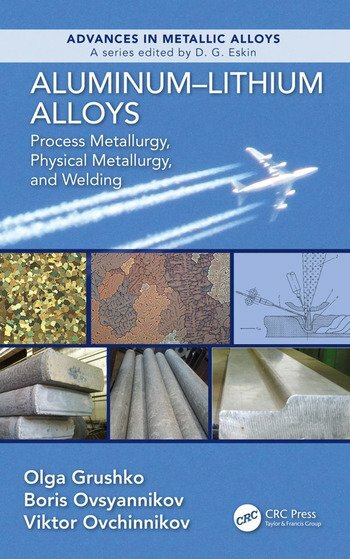 The book will become a desk reference for those metallurgists involved in the manufacturing of aerospace grade aluminum lithium alloys as well as a course book for students of aluminum cast house Technology for reactive alloys." 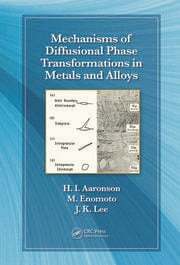 "This ‘troika’ of authors has pulled together 265 references, mainly from Russian technical sources, and summarized the vast literature in eight concise and readable chapters, detailing not only the theoretical basis of Al-Li alloying but all the practical aspects of their production and fabrication."